Yep it’s America’s Test Kitchen Healthy Family Cookbook time again! Their recipe for pad thai is not only damned healthy but also damned quick: 45 mins from standing up to cook to sitting down to eat. 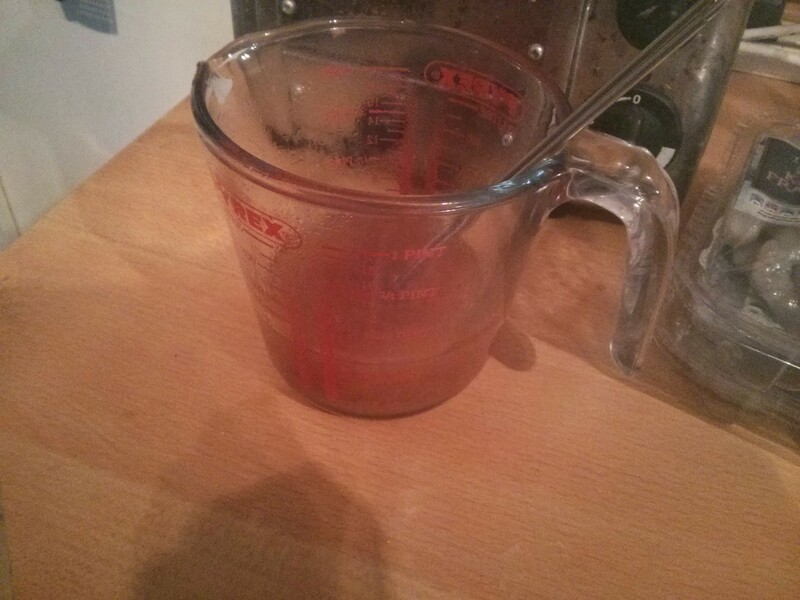 As our tamarind paste didn’t need straining we just mixed it all together in a jug. 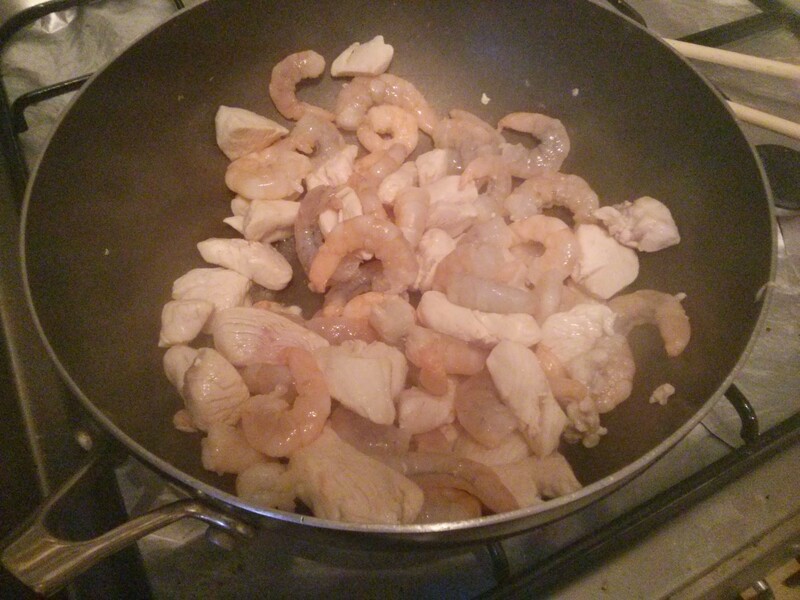 For protein we’ve got chicken and jumbo prawns. These get cooked through on their own. 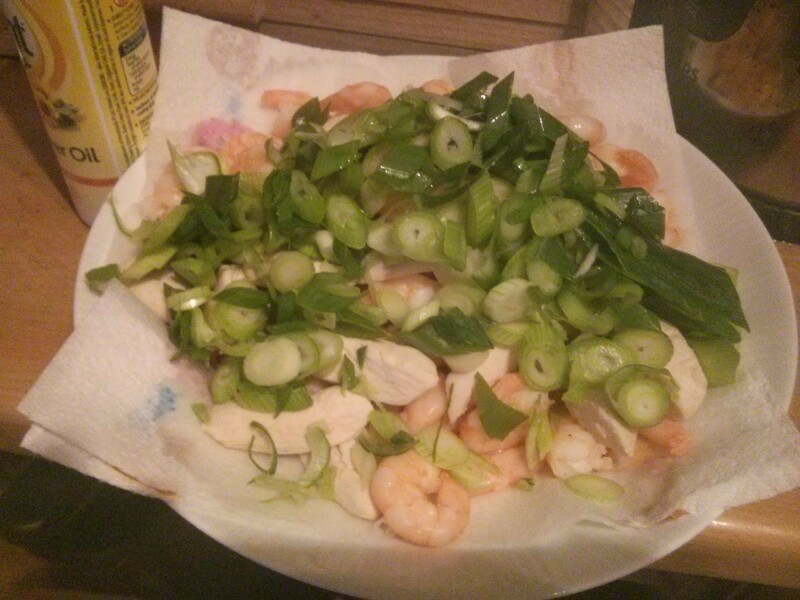 Once cooked they’re set aside with chopped spring onions. 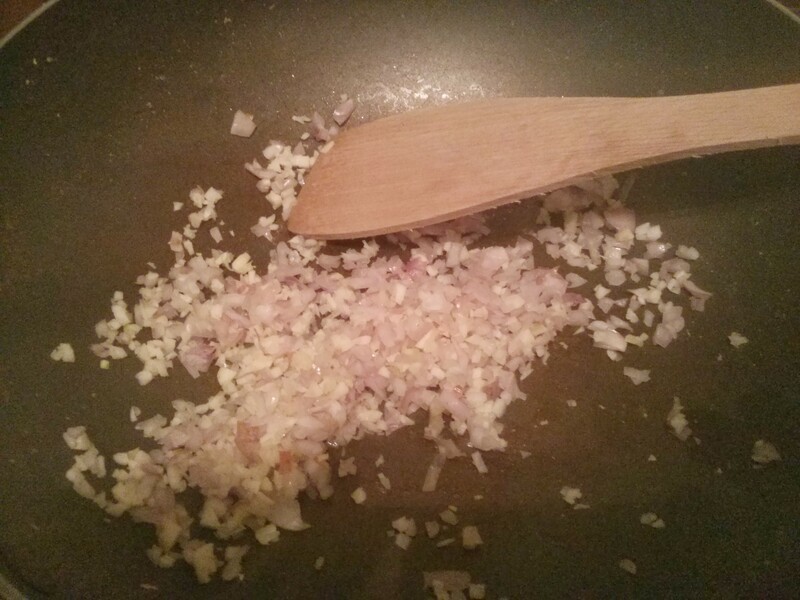 Then finely chopped shallots and garlic get fried off. 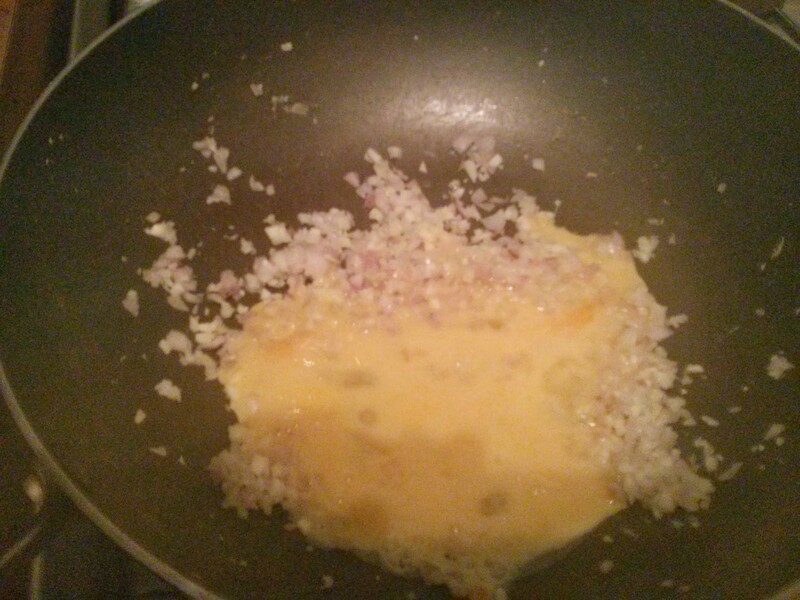 Then 2 whisked eggs are added. 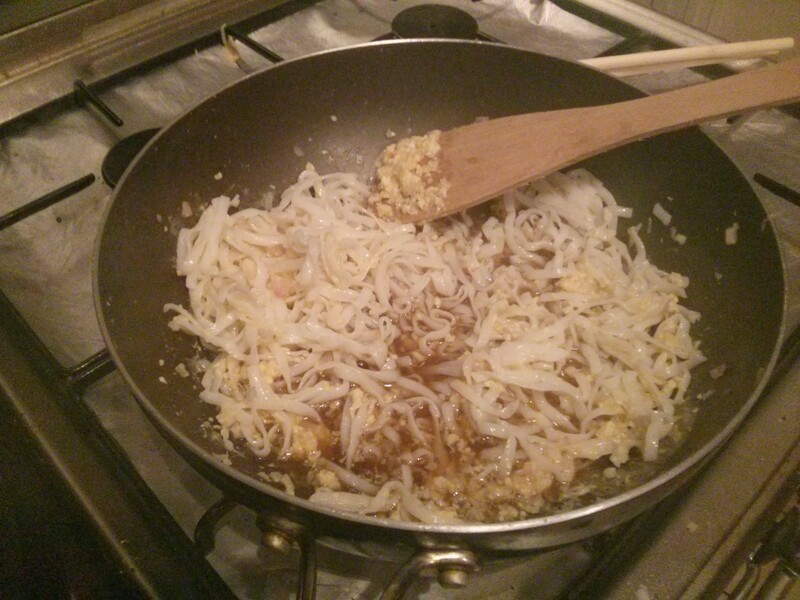 Once this starts to thicken, straight-to-wok noodles are added along with the sauce form earlier. 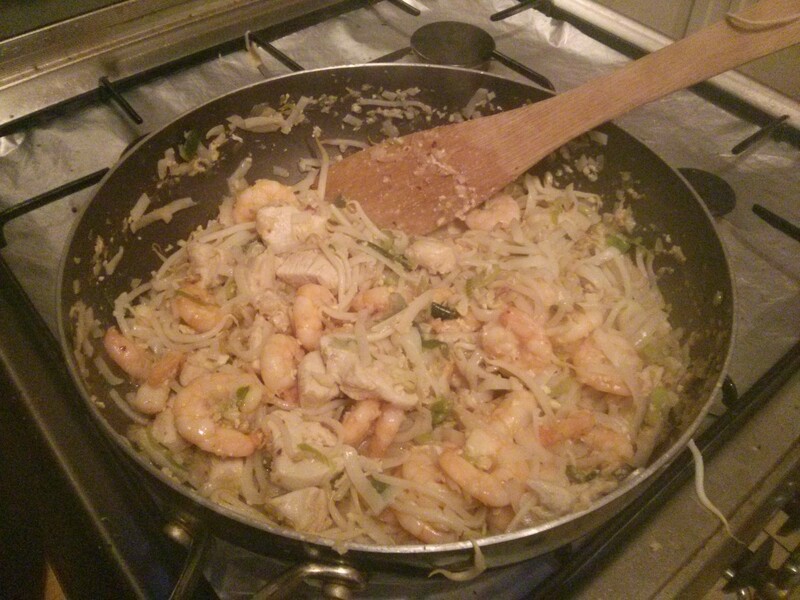 Once the noodles are nicely coated the proteins and spring onions go back in, along with beansprouts. Once things are heated through, it gets plated. 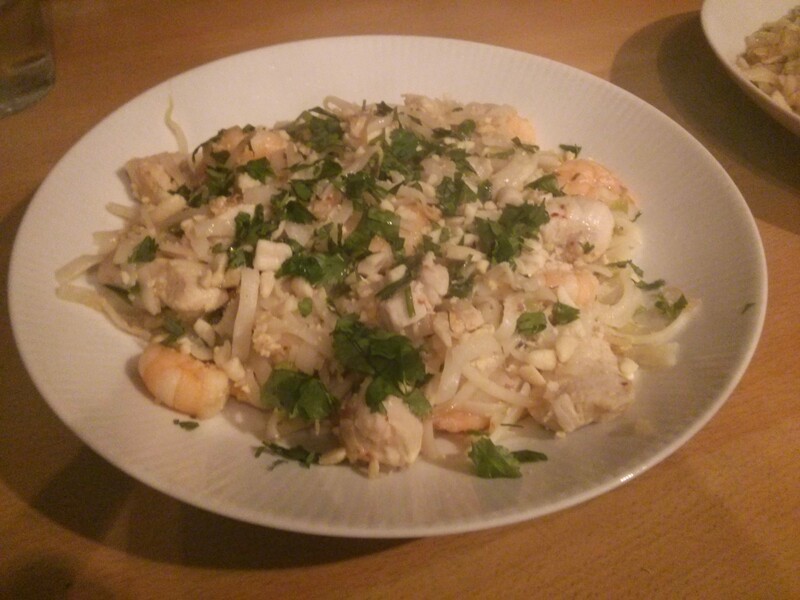 Then it’s sprinkled with crushed unsalted peanuts and chopped coriander, and finished with a squeeze of lime juice. It was delicious! And both low-calorie and healthful. And 45 minutes from start to eat. This may well become a regular weeknight meal! I’ll have to look out for tamarind paste as I’ve never used it.